I finally had some time to enter into some of my favorite challenges, and I am so glad to be able to create with my Your Next Stamps again! This current Clean & Simple theme is perfect for the Keepin’ It Reel stamp and die set for a Father’s Day card! I love this adorable fisherman from the Keepin’ It Reel stamp set and that you can use it for Father’s Day, birthdays or retirement! I’m a little low on Father’s Day cards so I chose to go with that them for this simple card. I started by trimming thick white cardstock a little smaller than my card base and pop dotting onto the front. I then die cut two thank you circles, layered and trimmed off the overlap and glued to the side of the card. Next, I die cut the circle from watercolor paper, inked with blue oxide inks in salty ocean, broken china, and tumbled glass and spritzed with water. I stamped Fisherman, fish, and sign with sentiment, colored with copic markers, and then die cut out using the coordinating dies. Next, I stamped the sentiment on a strip of black cardstock, heat embossed in white, and pop dotted under the circle. I then pop dotted the images. 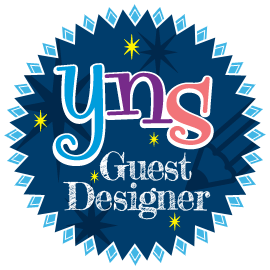 For my final touches, I added white dots on the images using a white pen and added some black nuvo drops under the banner. You have plenty of time to join in on this Clean & Simple challenge #112 with Your Next Stamps for a chance to win! I have one more unique card to share with you today from the Craftin Desert Divas new release using the adorable Chef Trolls stamp set! I wanted to create an Italian restaurant wall of black and white photos and I think it came out fabulous! This is my absolute favorite from this April release, I love the cute chef trolls and the size that they are! To start my card I trimmed some thick white cardstock a little smaller than my card base and inked with the moroccan tile stencil using oxide inks in fired brick & rusty hinge. I then stamped the sentiment in versafine black ink and set the piece aside. For the photos, I stamped the cuties and cooking accessories from the Chef Trolls stamp set using memento black ink and colored in copic markers. The colors I used to get the black and white look are: W00, W0, W1, W3, W5, & W7. I then die cut three frames from gold foil paper and trimmed the photos to fit behind them. Next, I laid them out on the card gluing the two on each side and trimming the extra off. For the center photo, I added some twine using glue dots and added a black brad (time to pull out that stash!) and pop dotted the photo. Then I adhered to the center of the card with pop dots. I hope you will try this black and white photo coloring yourself, and visit the CDD blog for more Design Team inspiration! You can share your creations with us at the Craftin Desert Divas Gallery on FB. 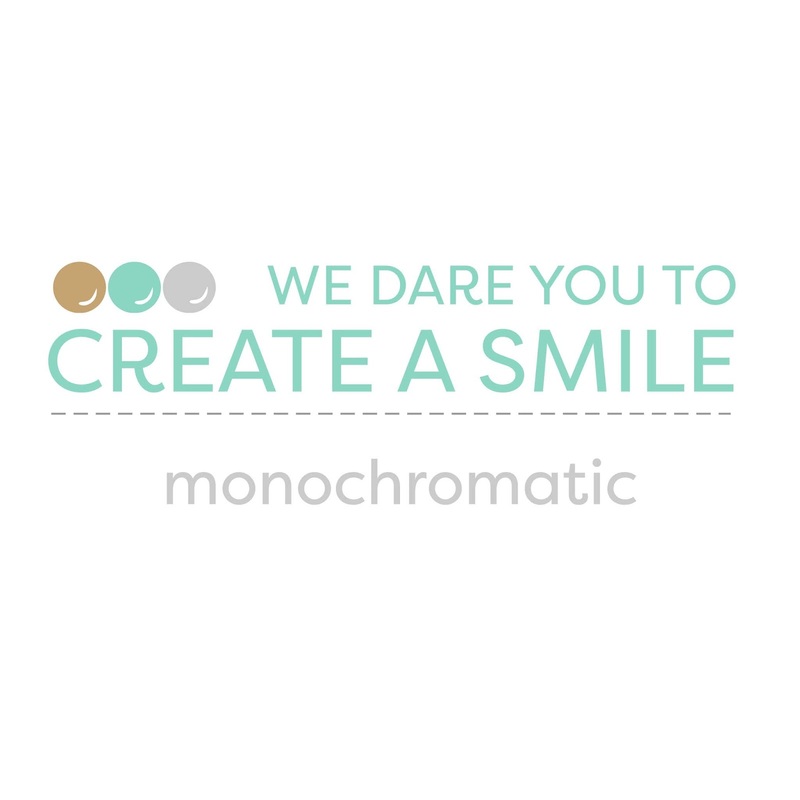 And we have a new April challenge, click the link for all the details! I am going to leave you with the Chef Trolls all colored up and have a wonderful week! Create a Smile stamps is having a new and fun challenge using the theme Circles! I knew exactly what I wanted to use for my circles, the ever adorable and popular Gull Gang stamp set! It ended up taking off from there on adding more circles with the bubbles from the Easy Breezy stamp set and then adding even more circles with the quote bubbles with the sentiments from the Small Sentiments stamp set! I started my slim line card by trimming thick white cardstock to 8 1/2 x 3 1/2, the perfect size for an 9A envelope! Next, I trimmed some watercolor paper a little smaller than the card front, stamped the bubbles with versamark and heat embossed with white and then die cut into waves. I then inked each section with chipped sapphire, blueprint sketch, and stormy sky to give movement to the waves. I stamped the sea gulls and wood, colored with copic markers, and fussy cut out. I then pop dotted a few and glued the others to give depth to the card. Next, I cut the quote bubbles using my cameo silhouette, but Create a Smile has a set of speech bubble dies that work perfect for the small sentiments I used. I pop dotted both the speech bubbles and stamped the larger sentiment on a stitched banner, trimmed the end and pop dotted in the middle. For my embellishments, I added some small clear nuvo drops to the wood next to each sea gull and a few on the banner next to the sentiment. 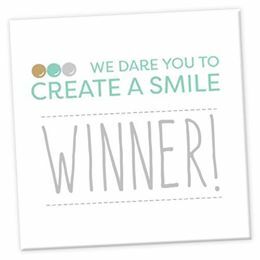 I am joining the Create a Smile challenge early so check out if you would like to join for your chance to win! The new April release from Craftin Desert Divas is now available and I’m sharing another card using the new Cake Tester stamp set, Hill Sentiment dies, and Confetti sequins! I love bright colors for birthday cards and this card has all the bright colors! To start my card I die cut some textured watercolor paper with the scalloped frame and inked the top left with the burst stencil in squeezed lemonade and adhered to the center of the card. Next, I created the shaker element by using my cameo to die cut the word WISH out of pink cardstock, added acetate behind it, put pop dots around the outside, filled with the confetti sequins and adhered to white cardstock. I added this over the scalloped frame. I then die cut the wish big from the new Hill Sentiment dies using thick white cardstock, inked with tumbled glass and salty ocean and pop dotted along the bottom. I colored the cute unicorn from the new Cake Tester stamp set, colored with copic markers, fussy cut out, and pop dotted over the sun ray Next, I die cut the cupcake pieces, colored with copics, and pop dotted on the bottom. For the embellishments, I added sequins and nuvo drops in red, blue, & yellow. I also added white accents using a white pen. If you haven’t seen all the DT fantastic creations for the new release visit the Craftin Desert Divas blog for great inspiration! 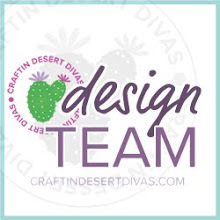 And if you haven’t heard, Craftin Desert Divas now has a new monthly CDD Creative Inspiration challenge that you can enter for 2 chances to win! Click on the link for more details! I’ll leave you with the adorable Cake Tester’s stamp set all colored! Thanks! It’s Day 4 of the Craftin Desert Divas April release and today we have some adorable (and stuffed) birthday unicorns for you! The sentiments are cute and large and go so perfect with these cuties! I started my card by trimming some watercolor paper a little smaller than my card base of 5 x 6.5 and die cutting the two stitched rectangles. I then used versamark ink and heat embossed the sentiment (available 4/17) in white. Next, I inked with cracked pistachio, dried marigold, and scattered straw oxide inks and then splattered with a small wet paintbrush with white paint. I die cut two more stitched rectangles and the tab from thick white watercolor paper and inked parts with cracked pistachio. I always use watercolor paper for my oxide inks because they really help with a smooth blend. Next, I pop dotted the frame onto the center of my card base and then glued the two rectangles into the slots and the tab on the bottom. I colored the unicorns and cupcake from the Cake Tester stamp set (available 4/17), colored with copic markers, fussy cut out, and pop dotted onto the card. For the embellishments, I added sequins and white nuvo drops and using a white pen I added accents to the unicorns. You can visit the Craftin Desert Divas blog for the DT amazing creations with this stamp set and catch up on the April release so far! We now have new CDD Creative Inspiration challenge, the theme is unicorns and/or fairies with rainbow palette, enter your creations at the CDD Facebook Gallery and on Instagram remembering to tag #cddcreativeinspiration for your chances to win! Thank you for visiting and I’ll leave you with the Cake Tester stamp set all colored up! I love the Newton travels stamp series and wanted to color with them again, so I picked the Newton Dreams of London for this sketch. I just was in England for 3 weeks visiting a friend and loved the red phone booths and double decker buses I saw everywhere! I wanted this to be a pop of color card of the British flag colors (and a yellow raincoat!). To start my card I stamped white thick cardstock repeatedly with the I love London sentiment in black versafine for a crisp background and then die cut with a stitched frame. I then trimmed a strip of alcohol marker paper, stamped with the photo booth, double decker bus, and Big Ben masking the bus, and colored with copic markers. Next, I pop dotted this slightly closer to the top of the card. For the banner, I die cut some watercolor paper and inked with blueprint sketch oxide ink fading as it went to the bottom of the banner. It gives a really nice rainy sky to pop the red and yellows! I stamped the Newton with umbrella and another Big Ben, colored with copic markers and fussy cut out, but they do have the coordinating dies to make it easier! For the clouds, I die cut a scallop piece using the thick white cardstock and stamped the ever cute sentiment with the black versafine ink. I glued the Big Ben down and pop dotted the Newton and the cloud and put the banner down the center of the strip. Since I was making this a masculine birthday card I just added one stitched cloud as my embellishment. You still have time yourself to join in the sketch challenge and have a chance to win $20 to the store! Hope you enjoy the card and wish me luck!